The Cure Classic Series cx1 square back putter features a clean blade style design and delivers the incredible stability and forgiveness of a High MOI mallet. The Cure cx1 has a 5” blade length with fixed tungsten weight inserts in the heel and toe and 6 moveable weights allow players to move 42g of weight to customize performance/ This Cure putter is constructed of precision milled Aircraft Grade Aluminum here in the USA. 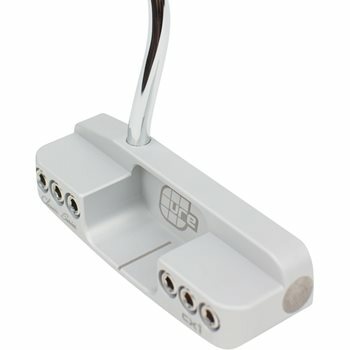 Does this putter come with the tool (wrench)? Only new condition putters will come with the wrench. Used ones will not.